It is officially July! The weather here in Fort Myers is HOT and the fishing has reflected it. 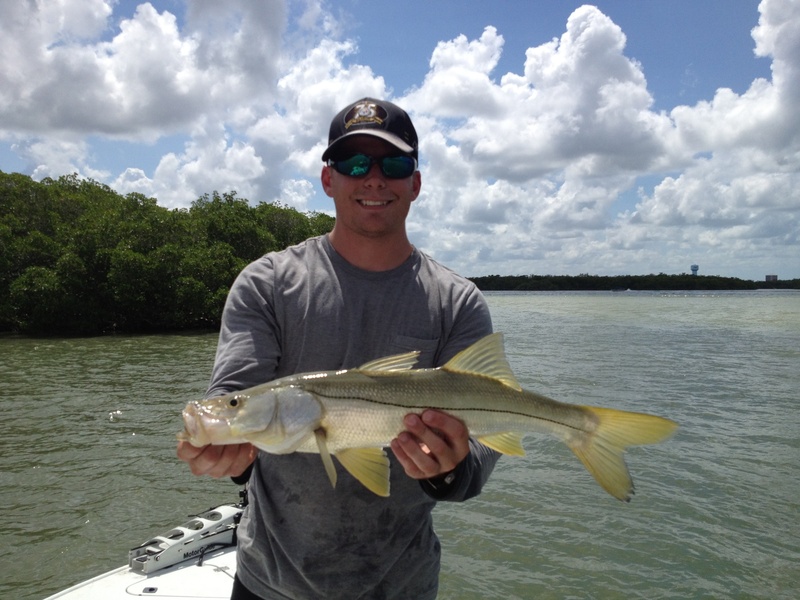 Snook have been eating well, Redfish have around but not as prevalent and Trout are on the wrecks and reefs near to shore. Tarpon season for me is done for so that means focusing solely on Snook and Reds for the next couple months. The big girls are on the beaches of Sanibel, they can best be found in the very early morning hours in the surf. Use a Threadfin for the big snook, or a Pinfish. Remember they are catch and release right now and these fish are the breeder fish so handle them with extreme care. If at all possible don’t remove them from the water and NEVER use a net! I use 30lb leader still for these fish as it increases the bite chances. You will lose a few but its better than not getting any bites. Redfish have been far in the back hanging around mangrove shorelines with some cover from the sun. Look for a good shoreline with current and shade and focus on the high stages of the tide. Pinfish have been best for the Reds. It’s the week of this great countries independence! If you are out on the water please be safe and don’t drink while boating the FWC will be cracking down on drinking on the water. Get out and have some fun during this great holiday!